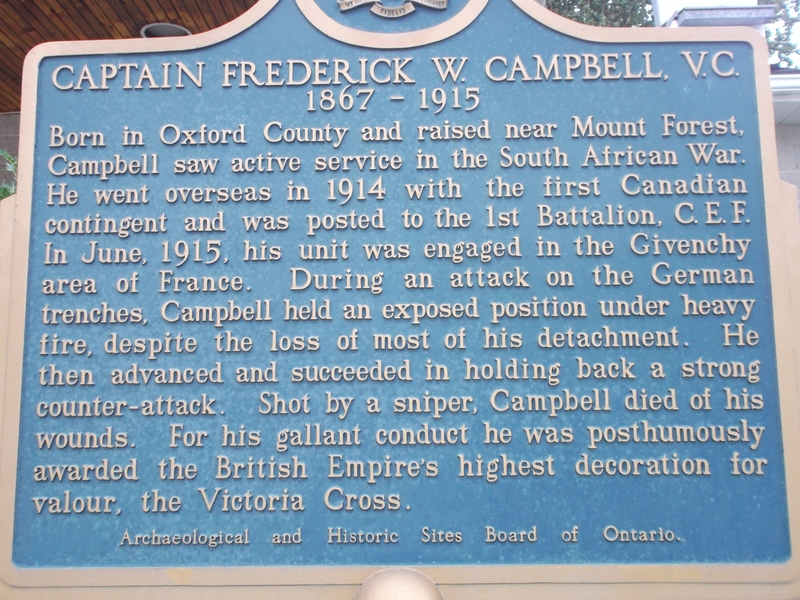 Born in Oxford County and raised near Mount Forest, Campbell saw active service in the South African War. 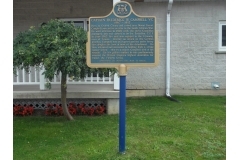 He went overseas in 1914 with the first Canadian contingent and was posted to the 1st Battalion, C.E.F. In June 1915, his unit was engaged in the Givenchy area of France. During an attack on the German trenches, Campbell held an exposed position under heavy fire, despite the loss of most of his detachment. He then advanced and succeeded in holding back a strong counter-attack. Shot by a sniper, Campbell died of his wounds. For his gallant conduct he was posthumously awarded the British Empire’s highest decoration for valour, the Victoria Cross.